The Christmas season is upon us and I truly feel as though there is magic in the air. As excitingly wonderful as Christmas trees, Santa and the colorful lights can be, I especially love the quiet, peaceful moments of Advent. Young children are drawn to the story of Mary, Joseph, and Baby Jesus in the stable and the Advent season has always been one of my favorite times to celebrate in the classroom. 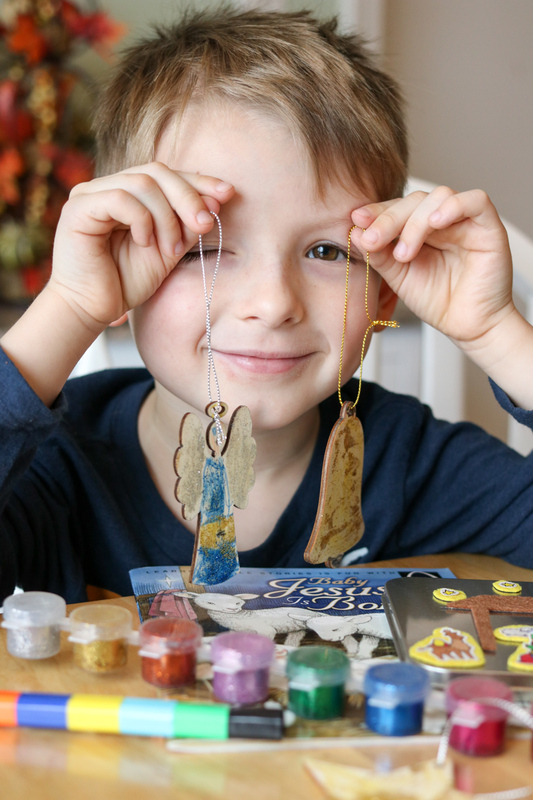 It can be a challenge for parents to find meaningful ways to extend faith formation out of the classroom and into the home, which is why I love HelloBible – the Christian subscription box for children ages 5-10. 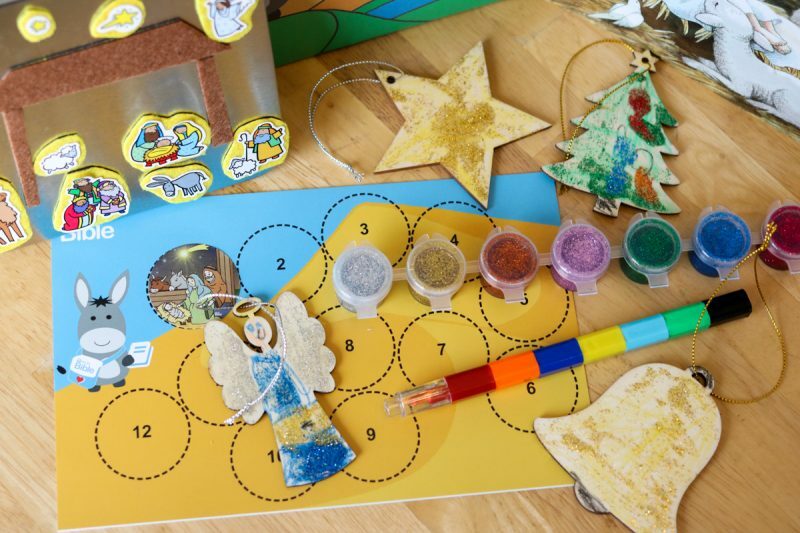 I recently had the opportunity to preview The Christmas Box from HelloBible with my nephew, which captures the magic of Advent with a book, art projects, and prayer resources; and he was captivated. Thank you to HelloBible for sponsoring this post. While this was a sponsored opportunity from HelloBible, all content and opinions expressed here are my own and I only support brands and products that I truly love. I sincerely hope you enjoy today's post and discover a meaningful way to share the true meaning of Christmas with the children in your life. 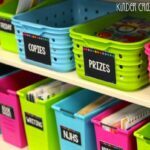 Save $5 on your HelloBible box if when you use the code KINDERCRAZE at checkout! I have been a fan of the HelloBible ever since I had a chance to check out their Noah box last year. 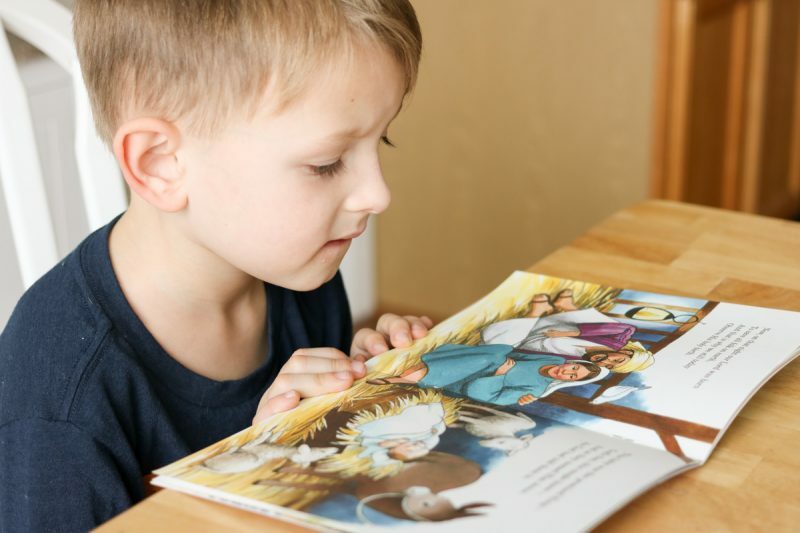 Any product that draws children into the Word of God in a fun and engaging way is always a hit with me and HelloBible is no exception. 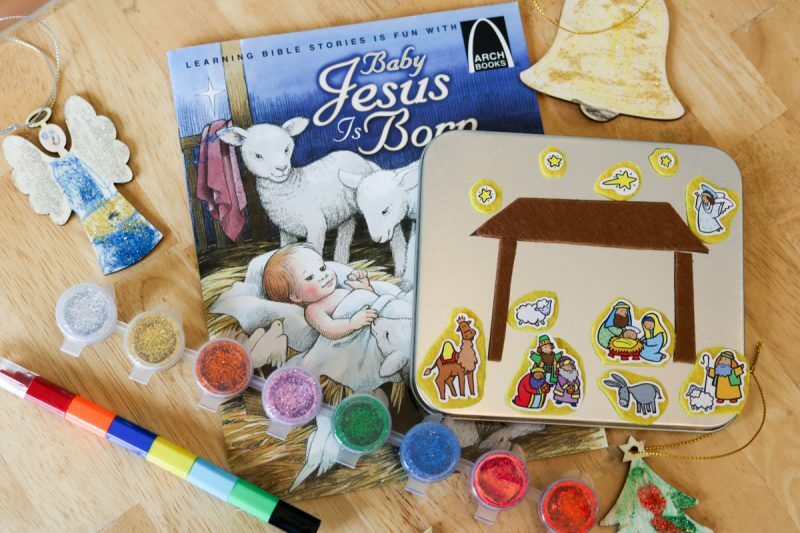 Each monthly box arrives with a book about a featured Bible story, instructions and supplies to create two related crafts, and additional prayer tools to help grow your child's faith life. Past boxes from HelloBible have featured classic stories from the Old Testament, but this Advent HelloBible is launching the first of their new Gospel series – starting with the birth of Jesus Christ. I think the timing is absolutely perfect and was excited to share the fun of HelloBible with my nephew, Connor. We started by reading the book “Baby Jesus is Born” and took time to discuss the people and events portrayed in the story. Connor was quickly drawn into the story of our Savior's birth. 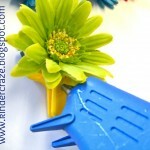 After reading the book, it was time to dig in for some fun crafting. 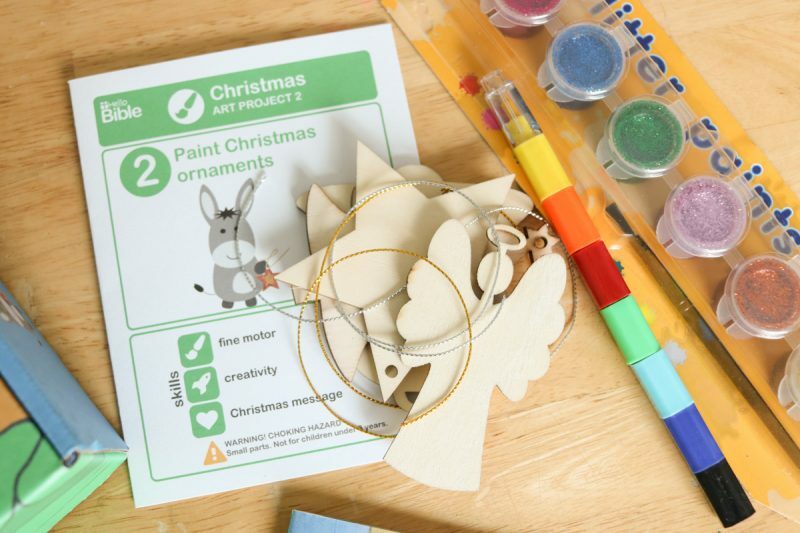 Every HelloBible box comes with instructions and all the materials you need to create two different art projects. Connor had his eye on the little wood cutout ornaments and glitter paints from the moment I first opened the box. 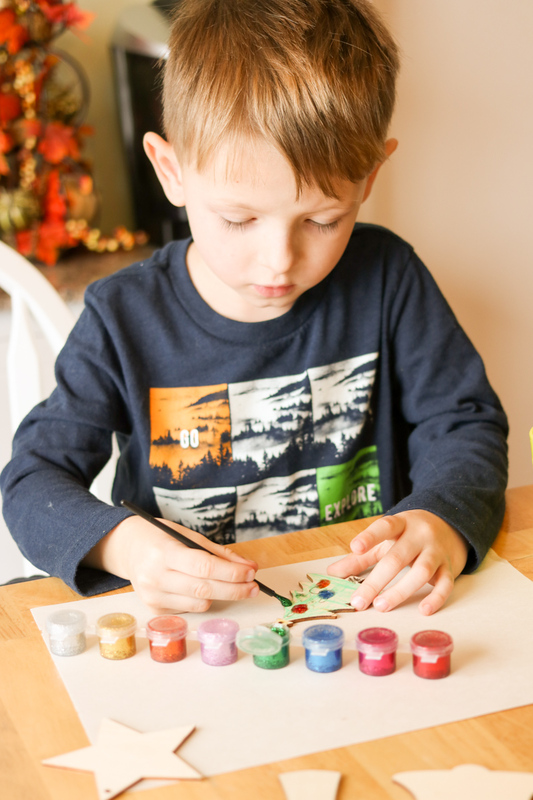 Even though it was art project #2 in the set, we just had to start by painting Christmas ornaments. 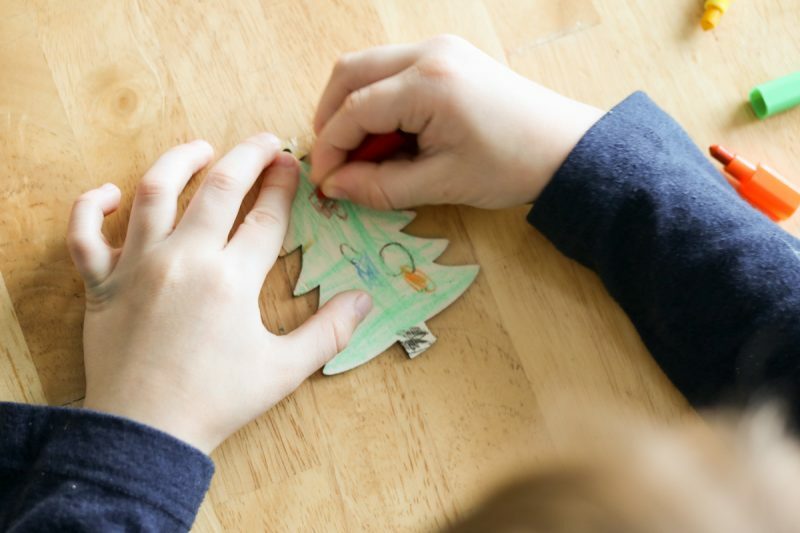 We used the special crayon enclosed in the Christmas Box to begin decorating the ornaments. The stacking crayon was such a novelty! 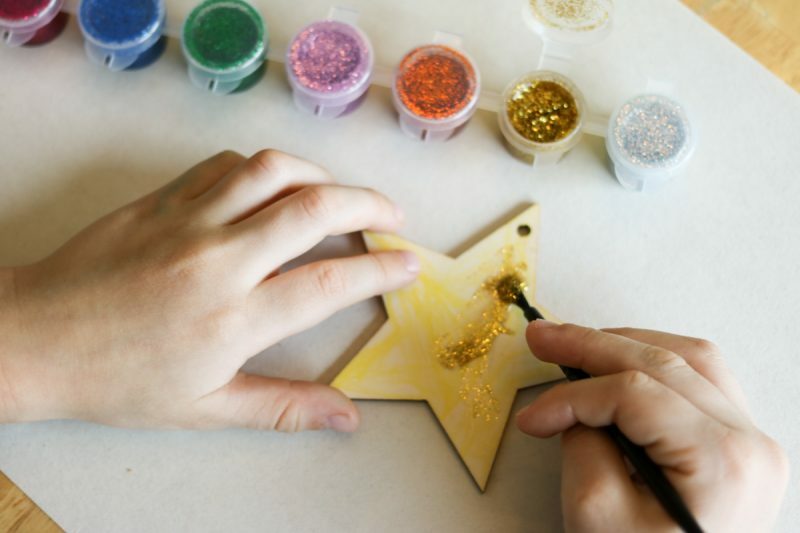 After the ornaments were colored with crayon, it was time to embellish them with glitter paint. This was without a doubt Connor's favorite part of our time together. The HelloBible Christmas box even came with gold and silver ribbon to hang the ornaments. Connor was very happy with his finished masterpieces. Oh my gosh, I just love this sweet boy so much. As much as Connor enjoyed decorating his wooden Christmas ornaments, this really wasn't a “just for fun” project. 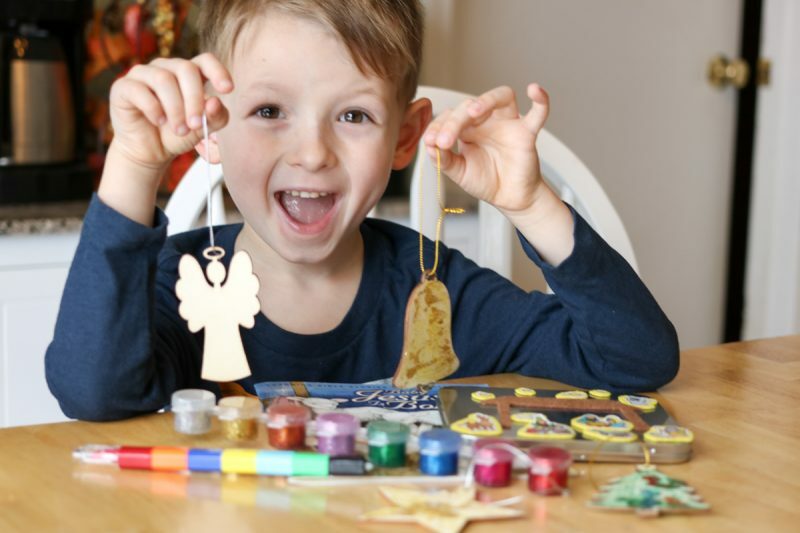 The craft instructions explained that the ornaments were a reminder to “focus on Jesus Christ and keep Him at the center of your Christmas preparations.” Each ornament was a symbol of Jesus and encouraged Connor to reflect and be reminded of Christ throughout the season. 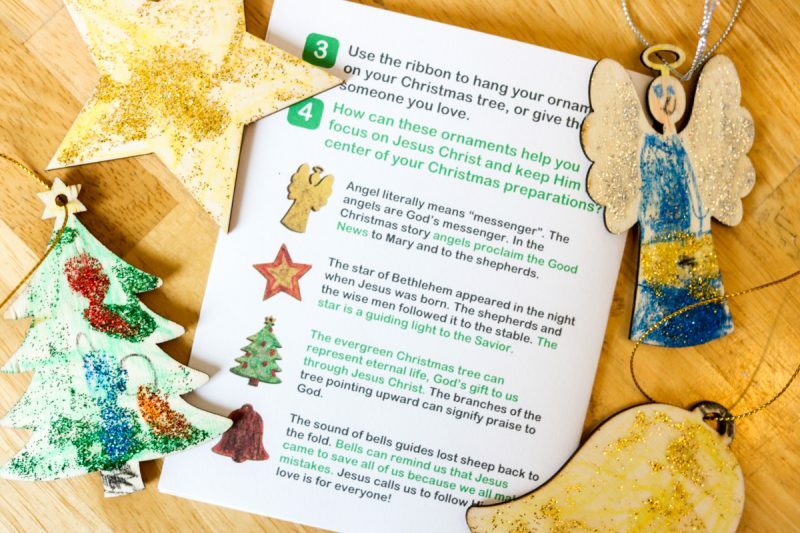 After reading the story and completing our first art project, it was time to move on to the second project in the HelloBible Christmas box – creating nativity magnets. When I was teaching kindergarten, I always loved to give each student a set of nativity stickers to create their own scene. 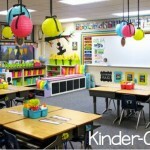 This project had a fun new twist on a classic activity. 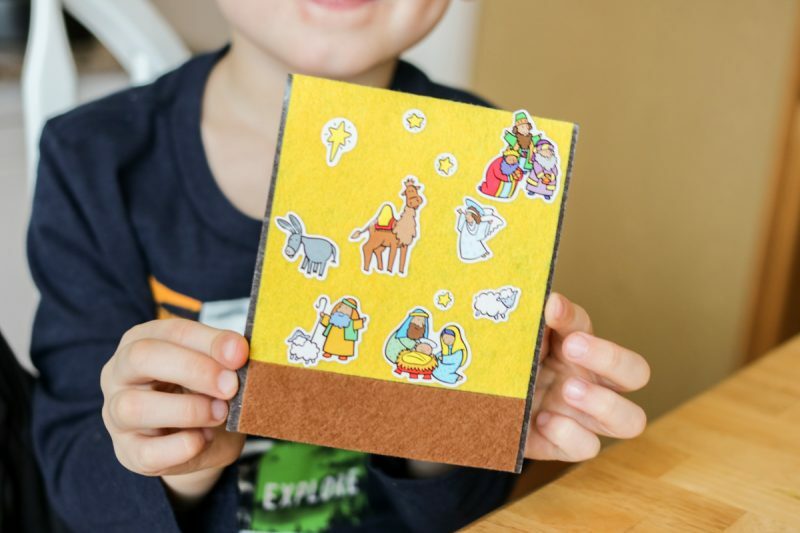 Connor followed the instructions and placed each sticker onto the piece of felt that came in his HelloBible box. 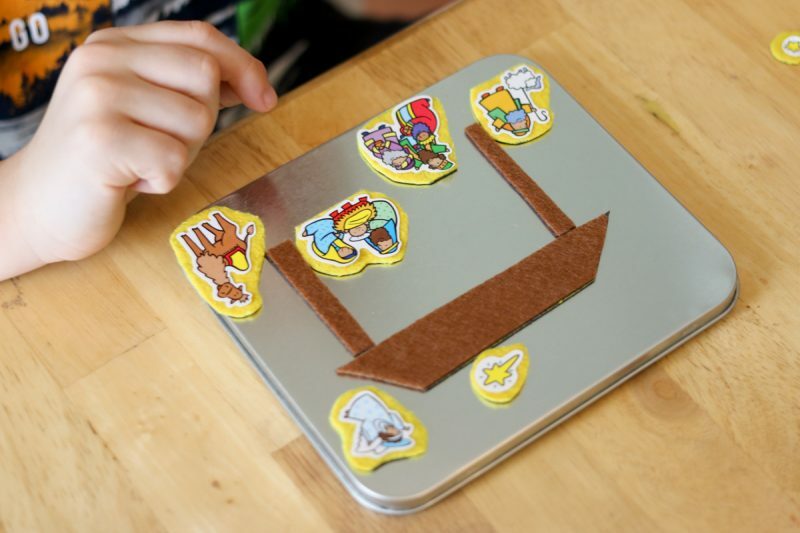 Next, we placed the decorated felt onto the sticky side of a self-adhesive magnetic sheet and placed a narrow strip of brown felt at the bottom of the magnet. 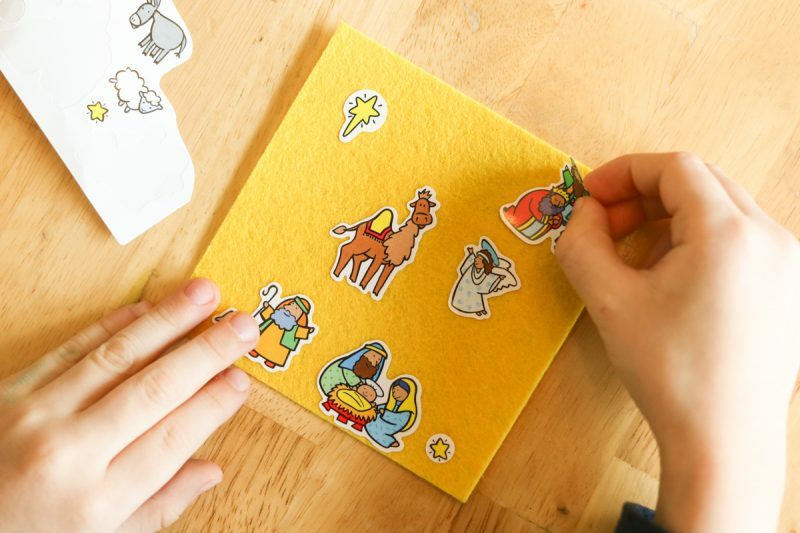 The next step was to carefully cut around each sticker to create nativity magnets. Older children could do step on their own, but I did this part for Connor since the magnet was so thick to cut through. 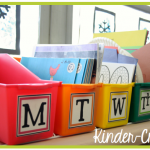 We created a simple stable by following the cutting instructions for the brown felt strip. 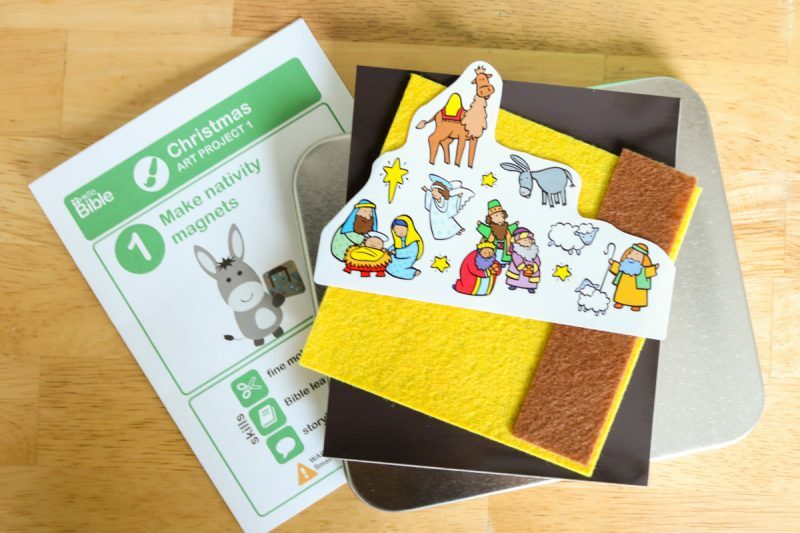 The nativity pieces and stable would have been fun enough all on their own, but HelloBible took this project one step further and included a simple magnetic tin in the box. 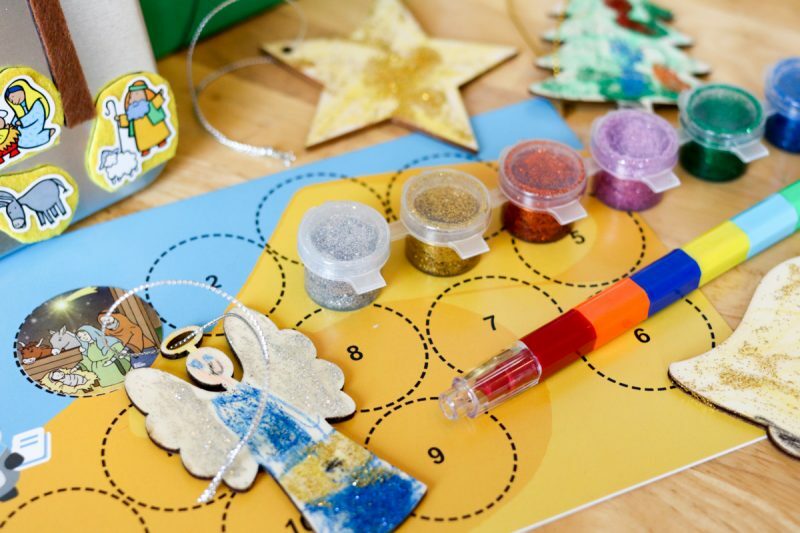 It was the perfect size to create and display a nativity scene – and it had the added bonus of serving as the perfect way to store those magnetic pieces when they were not in use. 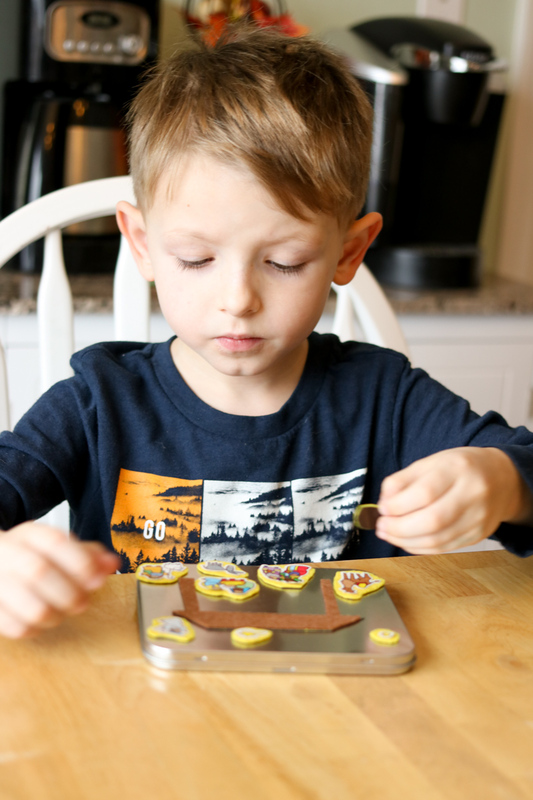 Connor loved playing with the nativity magnets he created. All HelloBible boxes come with a sticker that serves as a reminder of the lesson from the shipment. 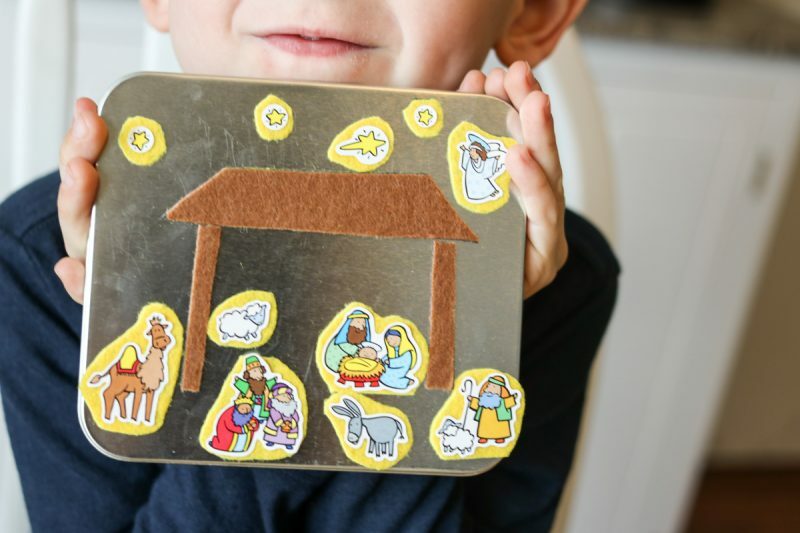 We placed the nativity sticker on Connor's special sticker chart. 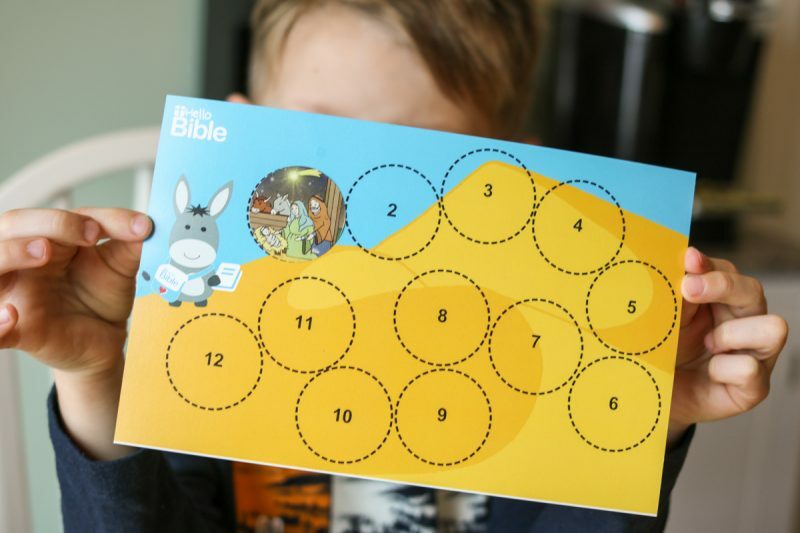 HelloBible subscription customers can collect a new sticker each time they complete a box and add it to the chart. I truly cannot say enough good things about HelloBible. 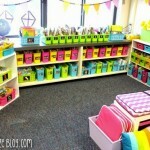 It is a wonderful experience for helping develop the faith life of children ages 5-10 and each box is engaging and fun. I am always looking to bless my daughter, niece and nephews with non-toy gifts and HelloBible is the PERFECT alternative. Especially because a new box will arrive at their door long after Christmas has passed and the heaps of toys are cast aside. 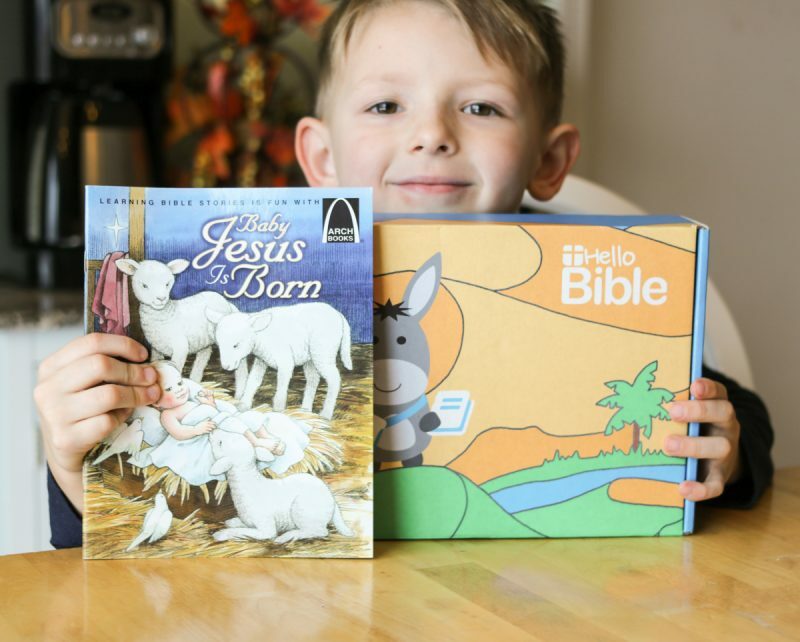 If you would like to purchase HelloBible for your child or a loved one, now is a great time! 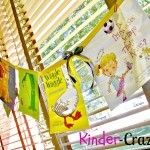 Save $5 on your order when you use code KINDERCRAZE at checkout. And if siblings are on your holiday shopping list, HelloBible makes it especially easy. 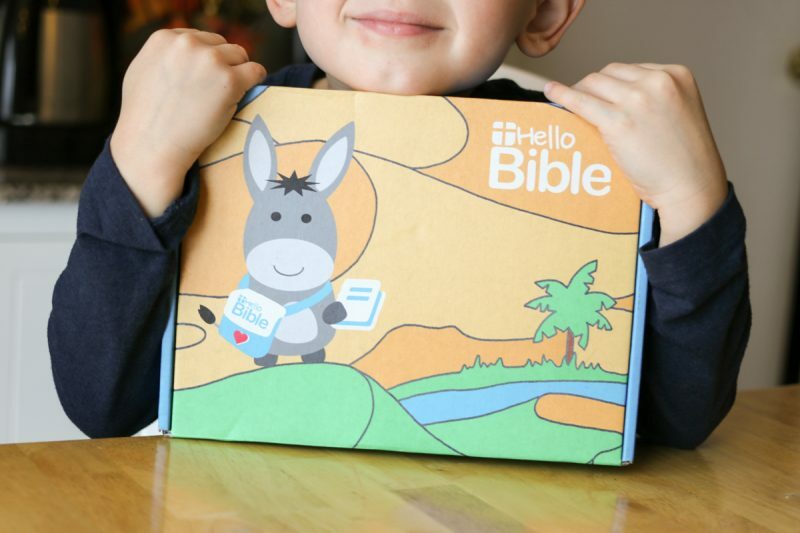 All HelloBible boxes can be customized to include project supplies for up to four children. Wishing you and your family a joyful and blessed Advent and Christmas season!